22.4. Plant varieties or animal breeds or essentially biological process for the production of plants or animals. This provision shall not apply to micro-organisms and non-biological and microbiological processes. 30.1. The person who commissions the work shall own the patent, unless otherwise provided in the contract. The employee, if the inventive activity is not a part of his regular duties even if the employee uses the time, facilities and materials of the employer. 38.1. The application shall relate to one invention only or to a group of inventions forming a single general inventive concept. 38.2. If several independent inventions which do not form a single general inventive concept are claimed in one application, the Director may require that the application be restricted to a single invention. A later application filed for an invention divided out shall be considered as having been filed on the same day as the first application: Provided, That the later application is filed within four (4) months after the requirement to divide becomes final or within such additional time, not exceeding four (4) months, as may be granted: Provided further, That each divisional application shall not go beyond the disclosure in the initial application. 44.1. The patent application shall be published in the IPO Gazette together with a search document established by or on behalf of the Office citing any documents that reflect prior art, after the expiration of eighteen ( 18) months from the filing date or priority date. 44.2. After publication of a patent application, any interested party may inspect the application documents filed with the Office. SECTION 48. Request for Substantive Examination. 48.1. The application shall be deemed withdrawn unless within six (6) months from the date of publication under Section 41, a written request to determine whether a patent application meets the requirements of Sections 21 to 27 and Sections 32 to 39 and the fees have been paid on time. 50.1. If the application meets the requirements of this Act, the Office shall grant the patent: Provided, That all the fees are paid on time. 50.2. If the required fees for grant and printing are not paid in due time, the application shall be deemed to be withdrawn. That the patent is contrary to public order or morality. (b) Where the subject matter of a patent is a process, to restrain, prevent or prohibit any unauthorized person or entity from using the process, and from manufacturing, dealing in, using, selling or offering for sale, or importing any product obtained directly or indirectly from such process. 73.1. Notwithstanding Section 72 hereof, any prior user, who, in good faith was using the invention or has undertaken serious preparations to use the invention in his enterprise or business, before the filing date or priority date of the application on which a patent is granted, shall have the right to continue the use thereof as envisaged in such preparations within the territory where the patent produces its effect. SECTION 74. Use of Invention by Government. (b) A judicial or administrative body has determined that the manner of exploitation, by the owner of the patent or his licensee is anti-competitive. SECTION 76. Civil Action for Infringement. 76.1. The making, using, offering for sale, selling, or importing a patented product or a product obtained directly or indirectly from a patented process, or the use of a patented process without the authorization of the patentee constitutes patent infringement. 76.2. Any patentee, or anyone possessing any right, title or interest in and to the patented invention, whose rights have been infringed, may bring a civil action before a court of competent jurisdiction, to recover from the infringer such damages sustained thereby, plus attorney's fees and other expenses of litigation, and to secure an injunction for the protection of his rights. 76.3. If the damages are inadequate or cannot be readily ascertained with reasonable certainty, the court may award by way of damages a sum equivalent to reasonable royalty. 76.4. The court may, according to the circumstances of the case, award damages in a sum above the amount found as actual damages sustained: Provided, That the award does not exceed three (3) times the amount of such actual damages. 76.5. The court may, in its discretion, order that the infringing goods, materials and implements predominantly used in the infringement be disposed of outside the channels of commerce or destroyed, without compensation. 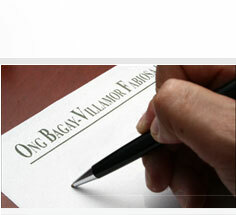 IPRotect is the International Division of The Office of Bagay-Villamor & Fabiosa (OVF) Law Firm. IPRotect specializes in securing Patents, Trademarks, Utility Models, Industrial Designs, Integrated Circuit Topographies and other Intellectual Property Rights. Singapore, South Korea, Thailand, Vietnam, Australia and New Zealand.